The design was based around the words warm and welcoming and straight away we went into colour brain storming trying out different colour groups. We settled on the yellow and browns you see in the final design. When they saw the design they felt that it worked really well. We have used a large part of the page to show images of the hotel and location as these are what really sells the hotel and keeps people on the site. 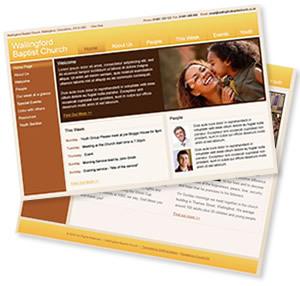 To do this we built a flash file that rotates through the images with a transitional effect that's in keeping with the design of the site.The site is built with CSS and meets W3C Web standards, which has helped it jump straight into number one positions on Google for two of its key phrases. 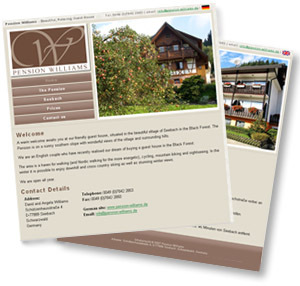 We were very pleased to have a large, challenging website as our first project. The design was created from scratch, including colour pallet, style and site structure .We also implemented many new features the company felt were needed. 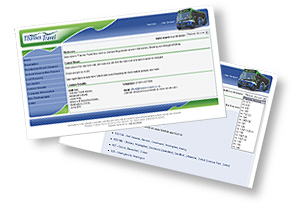 We have used the green, blue and the curved line theme from the decor on the buses to create the design of the website. We hope this will strengthen the corporate identity and recognition of the company. paulwest.co.uk - My Blog about the work I'm currently doing, with technical articles and tutorials of all the things I have learnt along the way.